My bag is lined and sewn beautifully and even zippers…I love it…call me quirky but I know I will get another one soon. WeBe Bags was formed in 2005 and has been expanding its product ever since. Rolled out to the press at the 2008 Sundance Film Festival, WeBe has enjoyed exponential growth since first attending Trade Fairs in January 2008. Moreover, re-orders are strong. 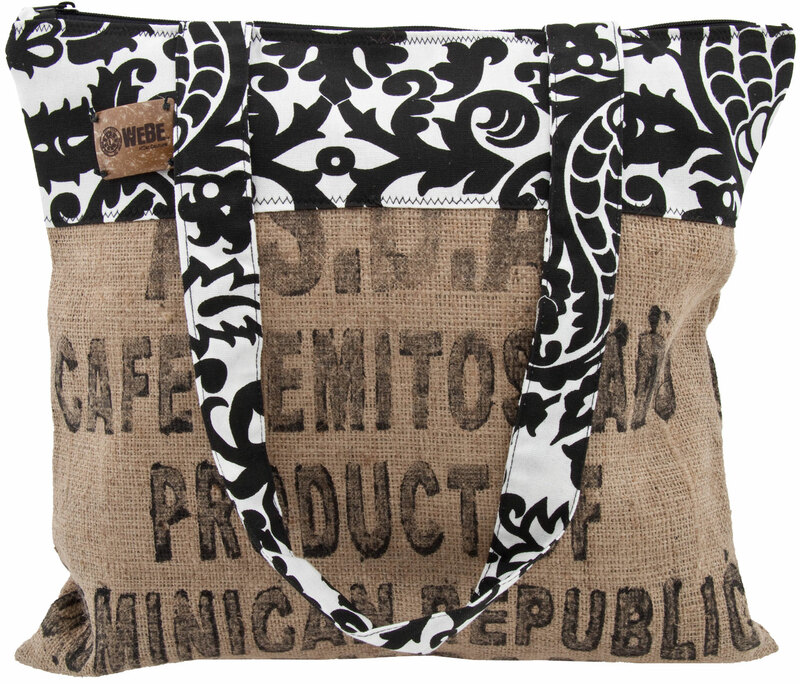 The bags are sold in boutiques throughout the Caribbean, Canada, Dubai, England, Japan and the United States. Recycled from feed, flour and coffee sacks, WeBe bags are imported from around the world and made into bags in the U.S.A.
Our collection of Agri-Cool bags are for planet friendly folks who chic when they see it. Super cute bag! The black and white print offsets the brown well. Love that it's eco-friendly, too. This bag is awesome! I saw some really cute bags while in Frisco at Sur La Table. They were re-usable totes too, made from recycled materials and the patterns were really cute. I should have bought some. it's cute, recycled and earth-friendly. i can see why you like it. i like it too. I love when my likes get approval…I have been carrying it for a few days now…but I think I will use it more for an extra bag when traveling…it is actually huge and roomy!! !